Thomas was one of the first six graduates of Rev. King's school in Buxton, as an adult student of approximately 40 years of age. 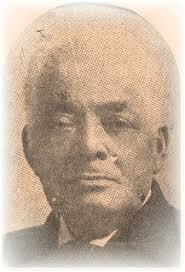 Stringer was born in 1815, Maryland and in 1846 in Ohio, he was ordained a minister in the A.M.E. Church . Stringer's Canadian accomplishments include founding the BME (British Methodist Episcopal) Churches in Chatham and Buxton. Following the Civil War, he returned to Vicksburg, Mississippi where he was instrumental in building schools and churches throughout the state. He radidly developed a reputation as a gifted orator and effective organizer. Thomas Stringer was also accredited as one of the organizers of the 1868 Constitutional Convention. Under Gen. Adelbert Ames, all political offices were declared to be illegally held by “unredeemed” white Confederates who had not regained citizenship in the U.S. The generals appointed their own choices to every local office pending the constitutional convention of 1867-1868 and the elections that were to follow in 1869, elections in which black men would be able to compete for office. Thomas W. Stringer of Vicksburg, a native of the black Canadian settlement at Buxton, Canada, was elected state senator in 1869, thus becoming the first black state legislator to serve in Mississippi and the first to give legitimacy to the Black and Tan power matrix." quoted from: Black and Tan Party rule in Mississippi, 1868-1875, by Earnest McBride. In addition, Thomas became a 33rd degree Mason and worked diligently establishing lodges in Natchez, Jacksonville, and Vicksburg. The Most Worshipful Stringer Grand Lodge in Mississippi was named after him. Stringer was described by personal acquaintances as: "kind, gentle, and patient with those deprived of educational advantages". More information can be found in: Mississippi Black History Makers, by George Sewell; and, Black and Tan Party rule in Mississippi, 1868-1875, by Earnest McBride.